Single Hung vs. Double Hung Windows: Which is Best? Are you renovating your home? One popular project is redoing the windows in your home. It easily gives a fresh, updated look. But many homeowners find it challenging to decide what type of windows to select. Two of the favorite window styles are single hung and double hung. They have similarities but in other ways are quite different. Let’s talk about why you might choose either of them for your home. Simply put, single hung windows and double hung windows are exactly as you might think they have been described. The single hung windows have a panel on the lower half that opens. The double hung windows have both halves which open. Your climate, weather and temperature. How air circulates in your home. What features you prefer & would work best for your family. Single Hung Windows – These windows are going to have a lower half panel that will open, typically by sliding it up and down or diagonally. Many homes and apartments have single hung windows. Disadvantages: With this window type, you can only open 1/2 of the window. You also can open the window only from the bottom. There may be times when you do not want to open the window from the bottom, such as if you have a curious toddler or a pet who jumps up near the windowsill. Advantages: This is a classic window type and it is easy to use. There’s no fumbling around with lots of different parts of the window, it only has 1 part of the window that opens. For some people, this makes them feel more secure about their safety to have windows that only open in 1 way. They can buy a window guard to protect the inside window lock from being “jimmied” and avoid being vulnerable when they are on vacation or otherwise not watching their windows. This type of window may be the ideal choice for 1st floor windows, especially if you live on a busy street, with a lot of passersby and want to feel more secure about your personal and home safety. 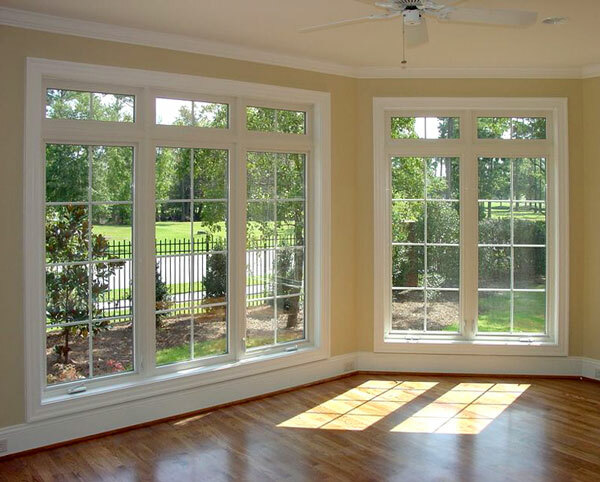 Double Hung Windows – These windows have both a lower half panel and a top half panel that opens. You can open either one or both panels. Just like the single hung windows, they open by sliding them up and down or diagonally, depending on the company/manufacturer. Disadvantages: One of the challenges is simply that you have to double check 2 parts of the window, to be sure you have closed them! So before you leave for work, vacation or go to sleep at night, this is an extra step to take – and plenty of people wind up forgetting. Some people also disagree in a family about which part of the window is “best” to open – the top or the bottom, this can be quite frustrating. While most windows are constructed with high-quality materials do keep in mind that with 2 opening windows you also have double the chances of a window lock breaking or the need for some type of window repair. Advantages: Simply put, a lot of people really like having the option of being able to open both parts of the window. If you live in a part of the USA or other part of the globe where you get all 4 seasons, then you’ll be pleased to know this can help you save on heat and air conditioning bills by opening your window – but only in the right way. Remember that heat rises, so in the summer you’ll open the lower top to let the warmth out of the house. But in the winter you’ll open the bottom window, to help keep the hot air inside, right where you want it. Whichever windows you choose, we hope you enjoy your beautiful home!